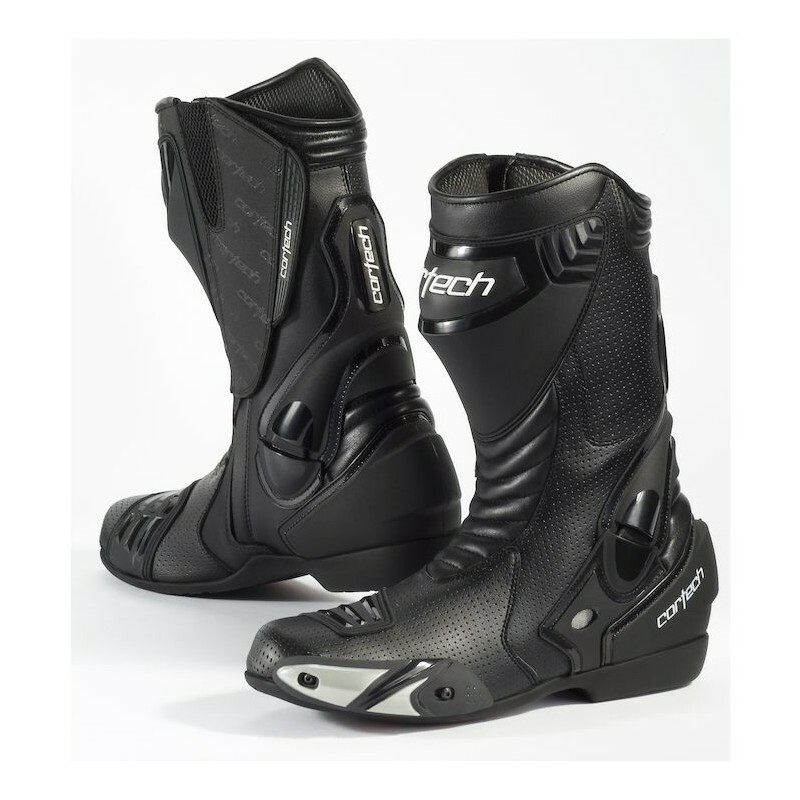 The Cortech Latigo Air RR Boots keeps the smiles and miles going as the temperature soars with its vented upper and Air Mesh lining keeping you cool. 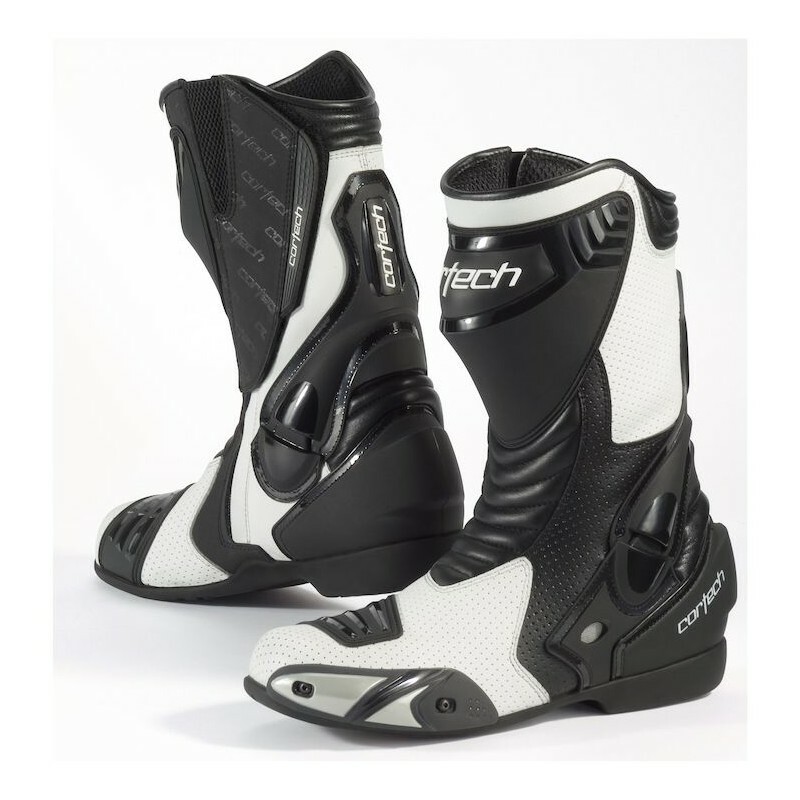 Shock absorbing foam and molded TPU shin guards keep you protected against impacts. 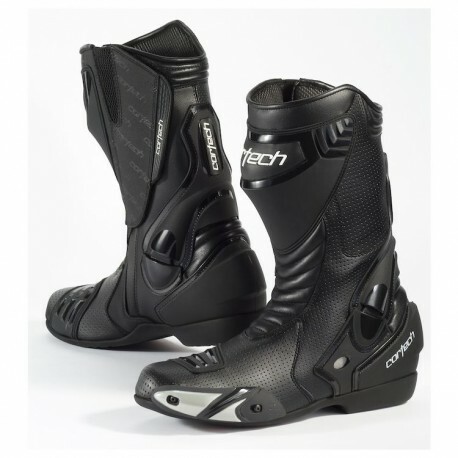 The Cortech Latigo Air RR Boots keeps the smiles and miles going as the temperature soars with its vented upper and Air Mesh lining keeping you cool. 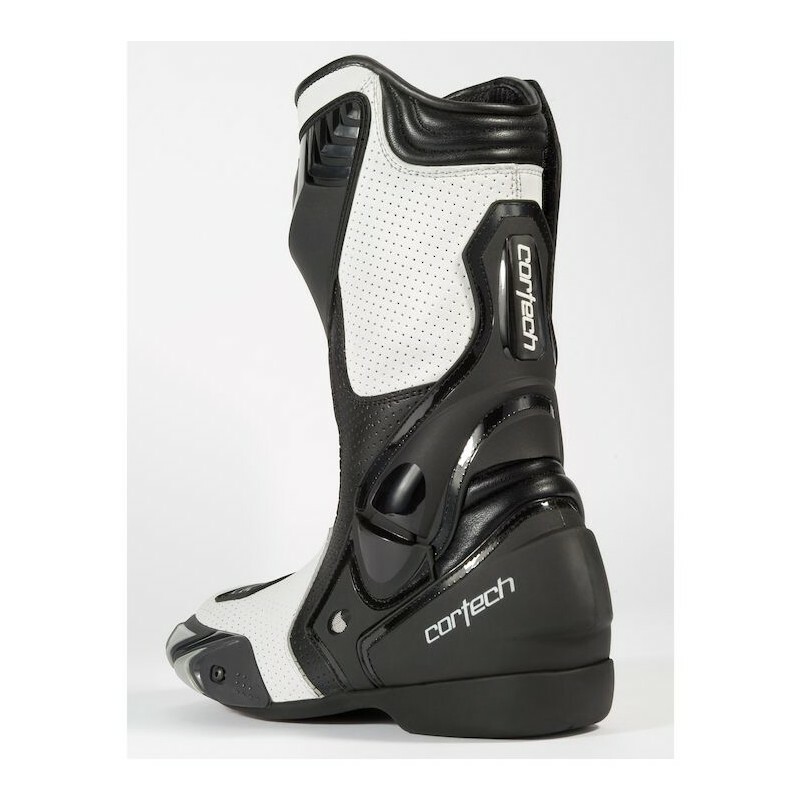 Shock absorbing foam and molded TPU shin guards keep you protected against impacts. 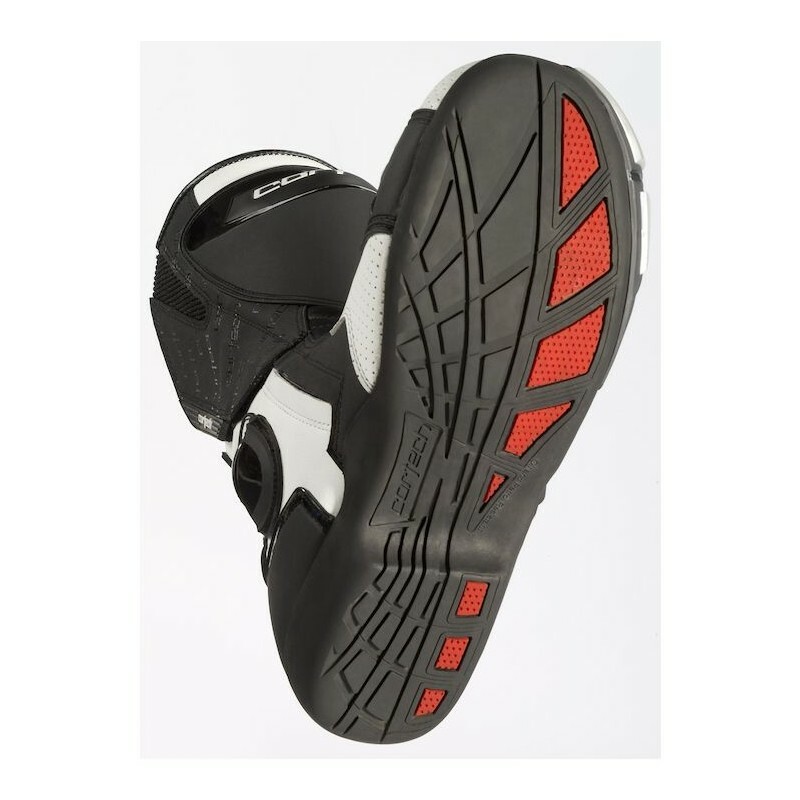 The 2-colored sole provides positive road grip. 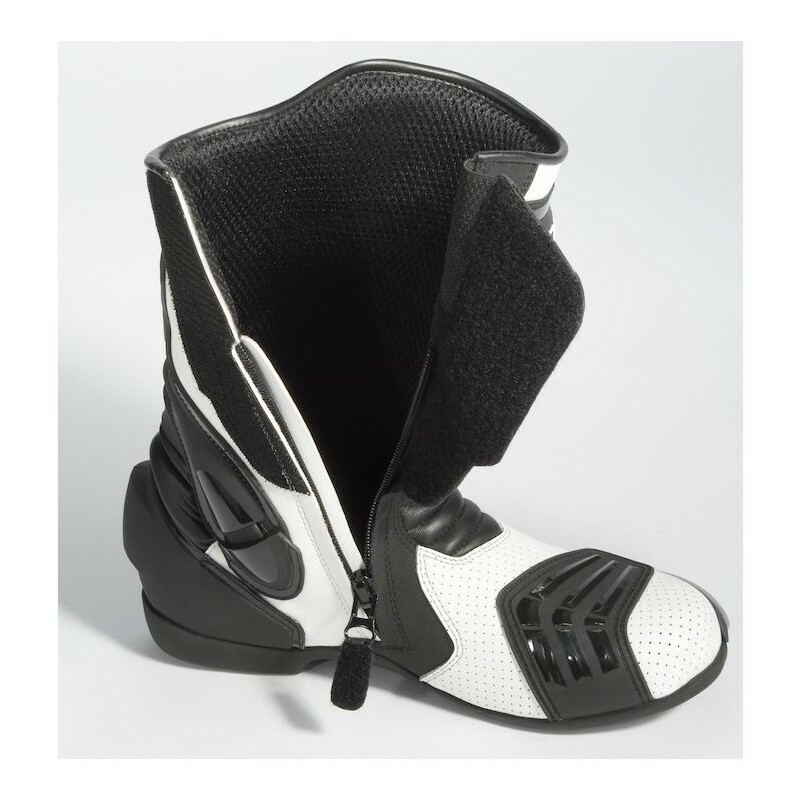 The locking zipper is covered by an adjustable hook and loop flap, while the leather stretch panels are backed with shock absorbing latex foam for comfort and durability.